I am Program Director and Senior Instructor of the Master of Natural Resources and Sustainable Natural Resource Graduate programs at OSU. I have taught courses and developed curricula in International Forestry, Agroforestry and Natural Resources at universities in the United States, South Africa and Ethiopia. As a member of the Sustainable Forest Partnership, I participated in the development of the Sustainable Natural Resources Graduate Certificate at Oregon State University, and more recently, I developed the Forests and Climate Change Graduate Certificate which is taught online through OSU Ecampus. I have over 25 years of experience in forestry, natural resources and agriculture education, research, outreach and administration. 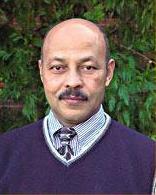 I received my PhD in 1993 from Oregon State University in Forest Resources, my MS in 1985 from the University of Dresden, Germany in Tropical Forestry, and my BSc in 1979 from Addis Ababa University, Ethiopia in Plant Sciences. Bishaw, B., H. Neufeldt, J. Mowo, A. Abdelkadir, J. Muriuki, G. Dalle, T. Assefa, K. Guillozet, H. Kassa, I. K. Dawson, E. Luedeling and C. Mbow (2013) Farmers’ strategies for adapting to and mitigating climate variability and change through agroforestry in Ethiopia and Kenya, edited by C. M. Davis, B. Bernart and A. Dmitriev. Forestry Communications Group, Oregon State University, Corvallis, Oregon.